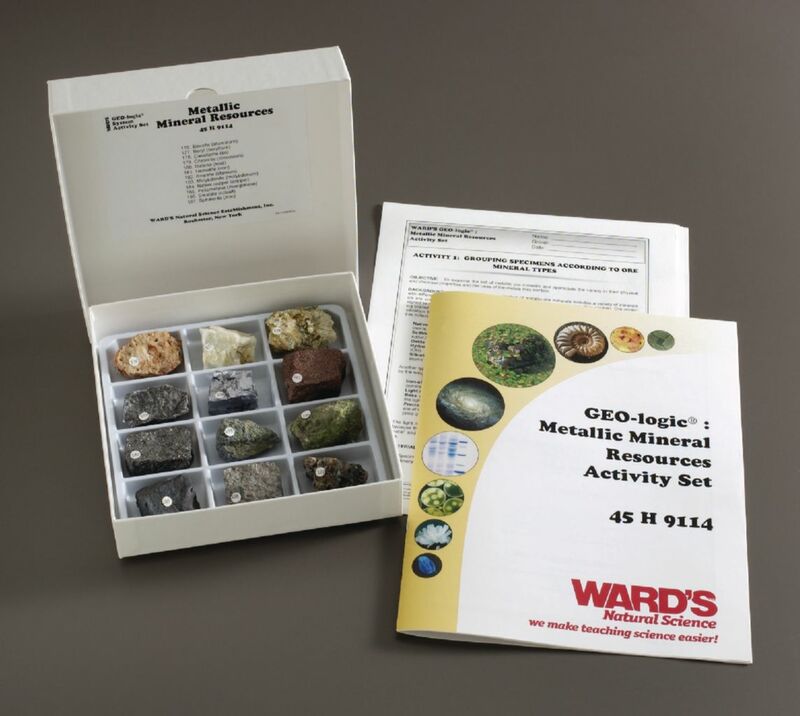 Students will learn the economic importance of metallic minerals with this comprehensive GEO-logic set. 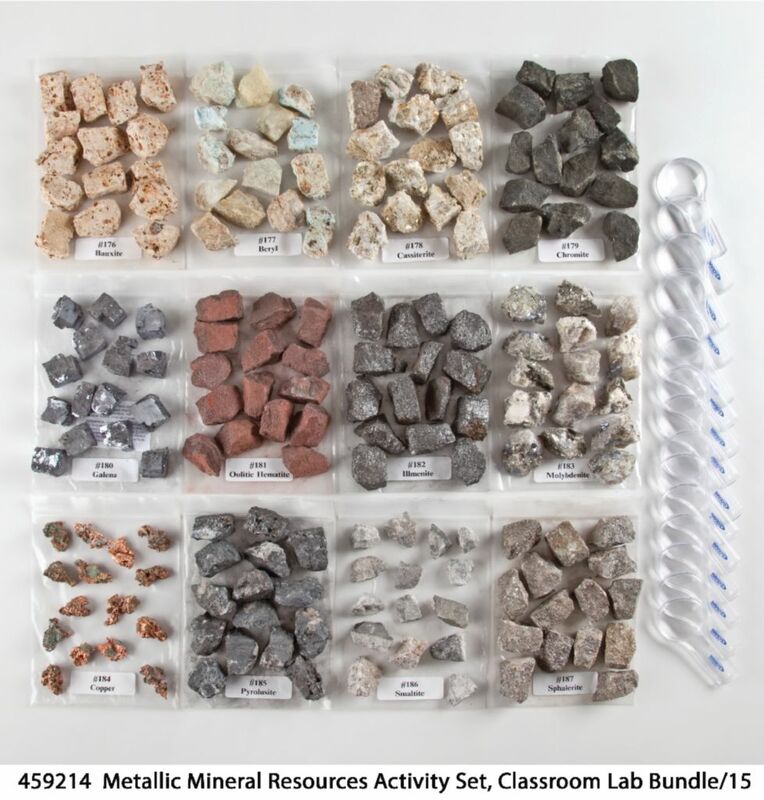 A teacher's guide and student copymasters are included for the following activities: grouping according to type, household uses of minerals, and worldwide distribution of metals. The set is housed in a compartmented collection box. 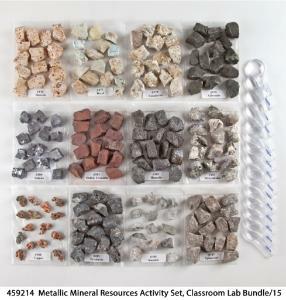 *Classroom Bundles are bulk-packaged and do not include display boxes, or teacher/student activity guides. 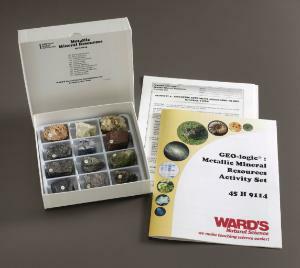 Contents:12 numbered samples, 1" x 2"